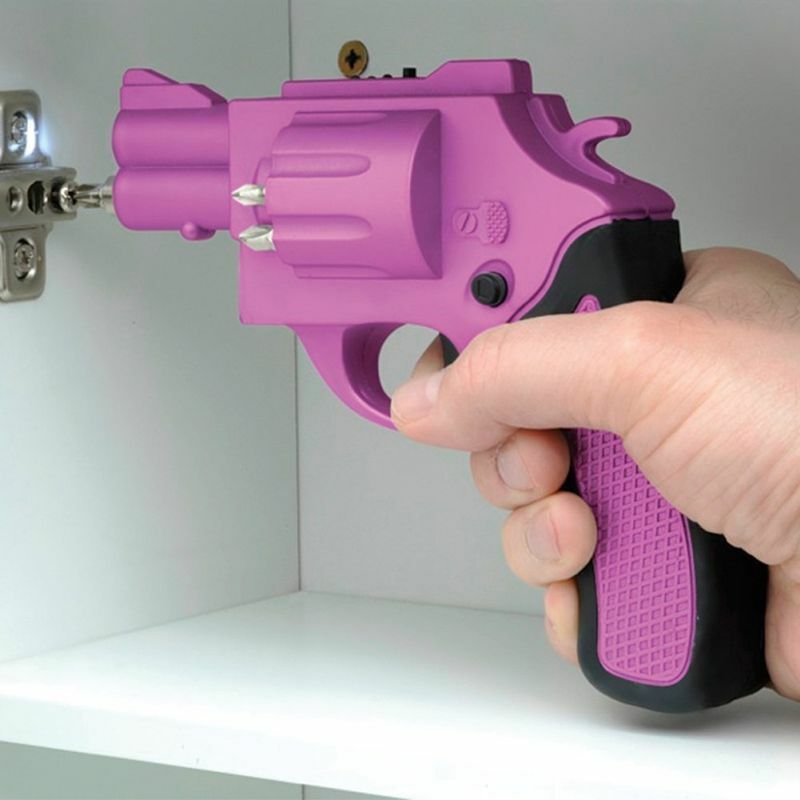 A fully rechargeable power screwdriver with 6 bits included! Looks just like a snub-nose revolver. Includes 6 different size drill bits that store in the chambers.